Sleek have recently come out with a new trio of blush palettes; tres’ excite! I’ve always been a huge fan of Sleek’s blushes, due to their excellent pigmentation and diverse shades and textures. There are four palettes; Lace, Pumpkin, Pink Spirit and Sugar. The palette consists of two matt shades and one shimmer blush, which is in the middle. Crochet is a matt,vibrant orange-coral colour. As is Chantilly. However, with Chantilly, it’s more on the red side. As i’m not used to wearing bright powder blushes, I will be a bit light handed on it. 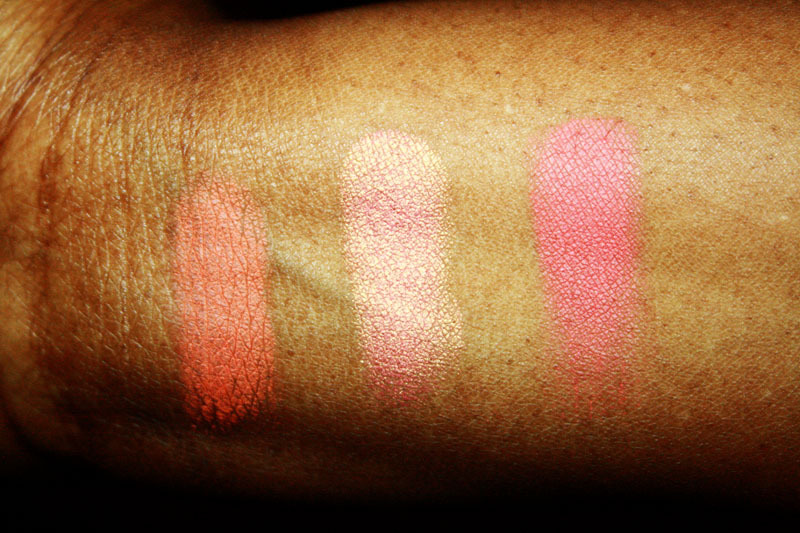 In the middle is Guipure, which is the shimmer blush. It’s a beautiful golden/burnt orange colour that shows up beautifully on the skin! Available at larger Superdrug branches. Have you guys picked up any of these blushes?? Next Post Questions? Comments? Concerns?